Save the photo online somewhere (photobucket), copy the direct link url, click the photo icon here on the toolbar and paste the url in there. You need to set the properties for that photo on OneDrive as public. Keeps coming up as a little green square. I would like to post the photo, not a clickable link. How? 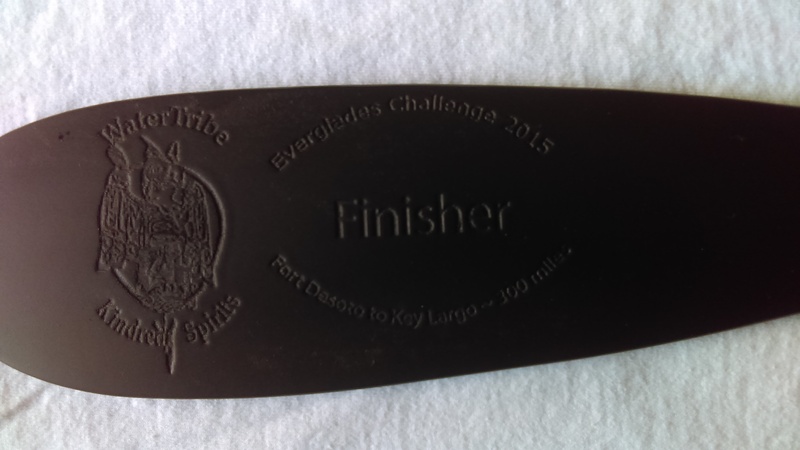 In remembrance of the Everglades Challenge that wasn't, I painted my Finishers Paddle black. It deserves a special place in the collection. Many lessons learned last year. Hoping that this year is better. I like the concept of the dark paddle! The EC 2015 will be remembered for the capsize frequency, USCG involvement, ensuing race confusion, and incessant headwinds. Now that it's over, I wouldn't have wanted anything different. In the future, I hope it never happens again.